A fantastic holiday home for all the family to enjoy. 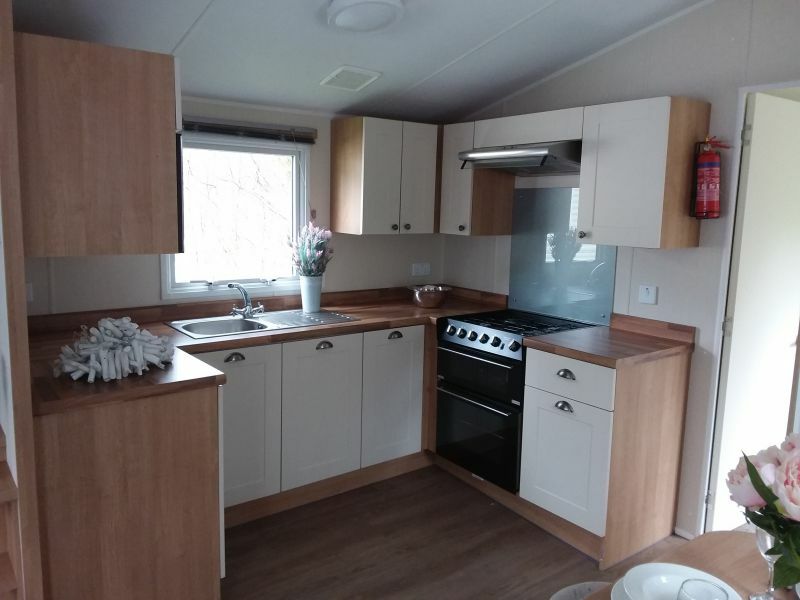 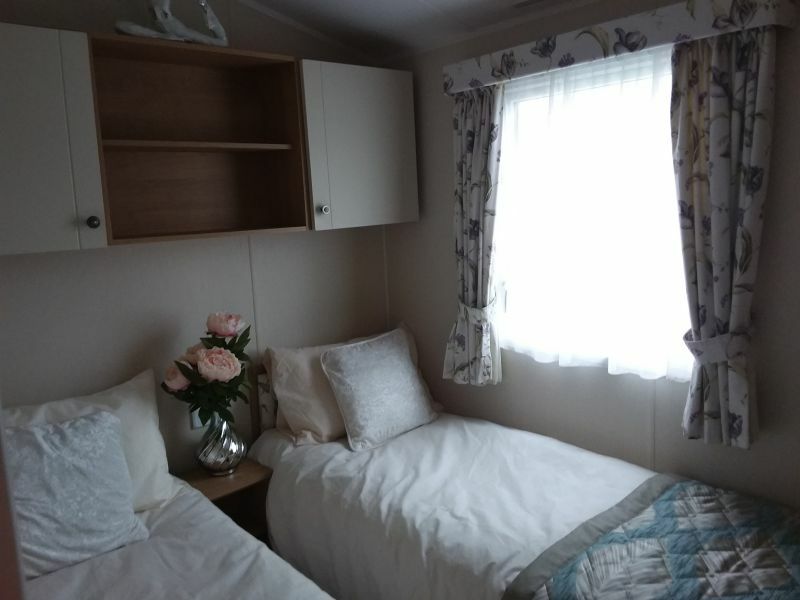 This beautiful Willerby Countrystyle is in a prime location overlooking the fields and comes complete with decking. 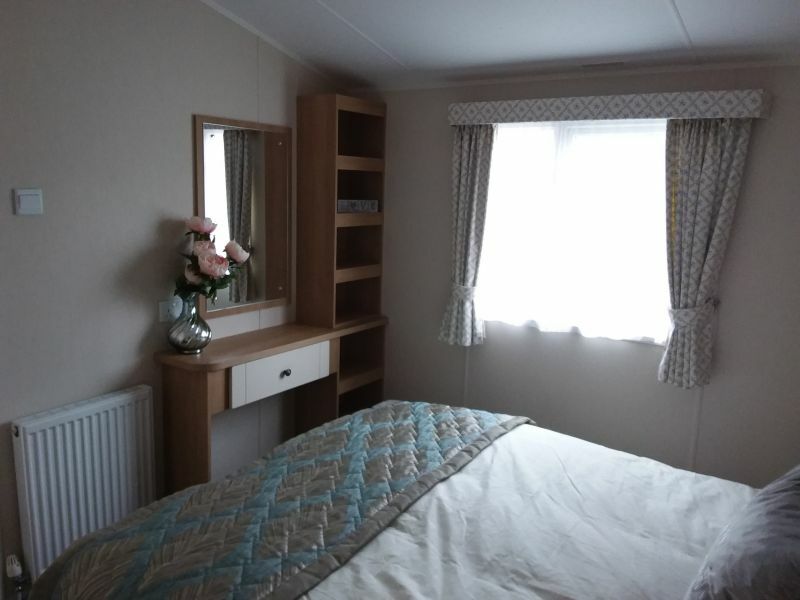 It's spacious and modern in its design, ideal for a family or those of you wanting the extra space. 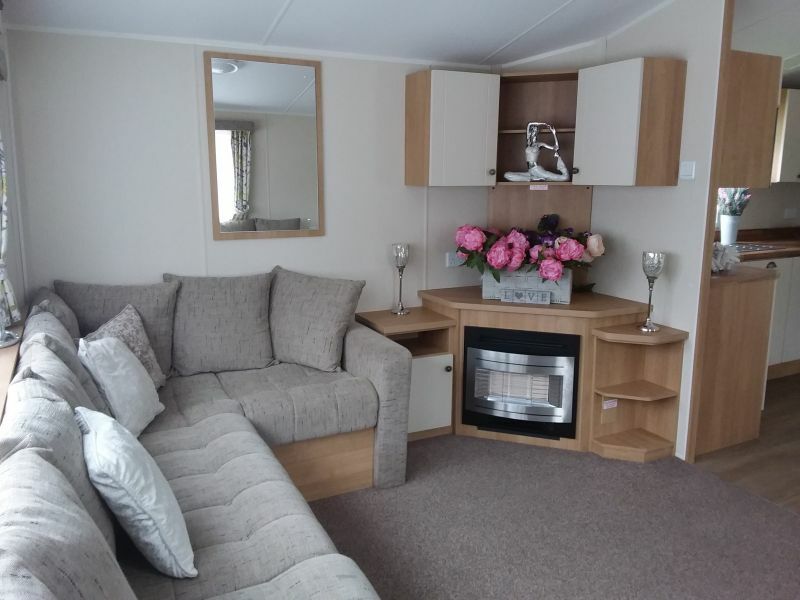 The lounge has a large L-shaped seating area, with mounted fire and corner TV unit. 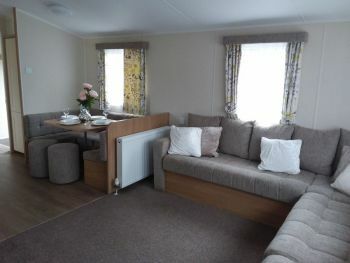 The sofa also has a pull out bed for extra sleeping arrangements when required. 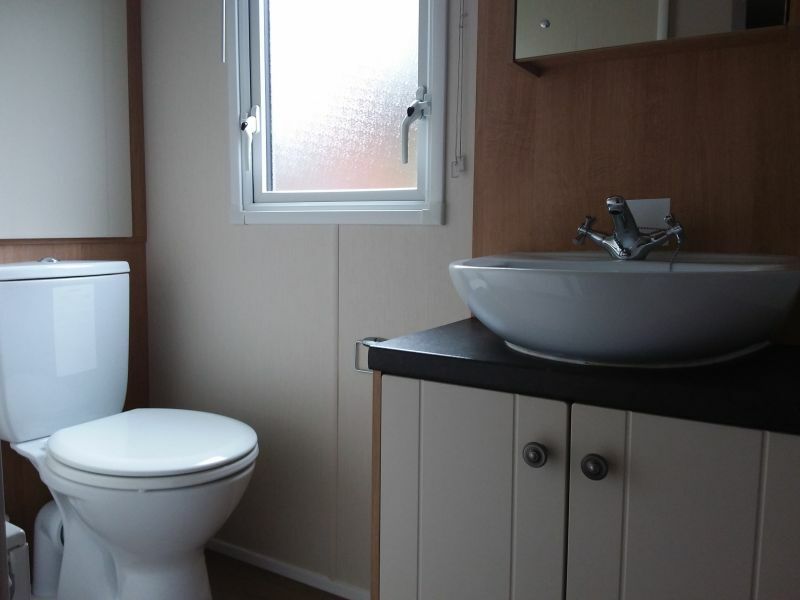 All fixtures and fittings have a neutral colour scheme allowing for you to add your own personal touch. The dining area has fixed dinette seating plus two drum stools. The fully fitted kitchen is very well designed and comes with a built in gas cooker and extractor fan. 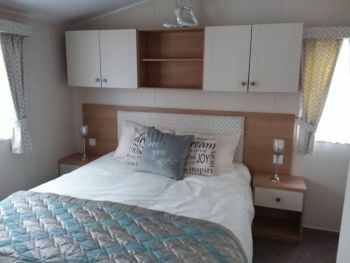 Ensuite master bedroom including double bed with overhead storage and bedside cabinets, shelving and a spacious double wardrobe. The twin room has overhead storage a bedside table and single wardrobe. There is a family bathroom with good sized shower unit, wash basin and WC. This holiday home is just waiting for you, your family and friends, to make lifelong memories.